You may already know about the large number of craft breweries in Vermont and how these products are an extension of the farm-to-table movement in this rural state. However, did you know there is also a growing Vermont distilled spirits industry making headlines and winning awards? The number of these distilleries has grown so much that in 2011 the Distilled Spirits Council of Vermont was established to support the distillers and promote the industry locally and statewide. Many of these distilleries have tasting rooms where you can sample their unique offerings. Additionally, distilled products are often available at farmers’ markets and special events around the state. Here is just a sampling of some of the many selections unique to Vermont. Vermont Spirits in Quechee. VT offers spirits made from local ingredients such as maple, whey, and apples. Vermont Gold Vodka is the first of its kind distilled from maple. Their No. 14 Bourbon is the perfect marriage of five year old bourbon with pure Vermont maple syrup. Open year-round for tastings, this is a distillery worth the visit. Vermont Distillers in Marlboro, VT produces unique liqueurs using the finest local ingredients. 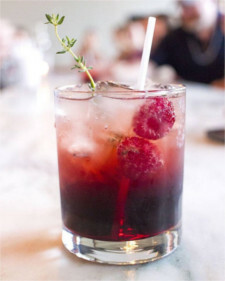 Try their Metcalfe’s Vermont Maple Cream or Metcalfe’s Raspberry Liqueur. 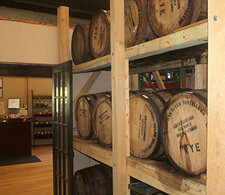 Smugglers’ Notch Distillery has tasting rooms in Jeffersonville, Waterbury Center, and Burlington. They specialize in small batch spirits using only the finest locally grown raw materials and pure Vermont spring water. The latest release from the distillery is a Gluten Free Organic Vodka with $1 from each bottle sale going towards cancer research. 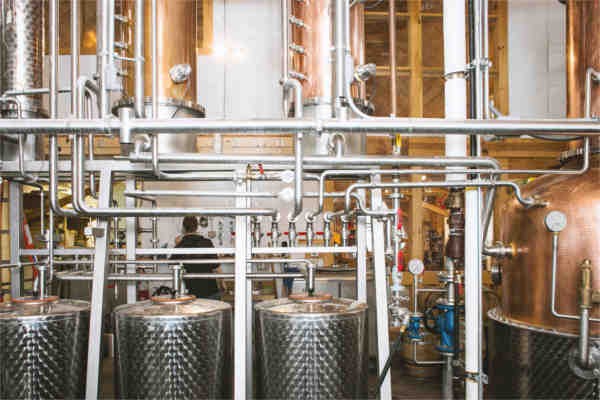 SILO Distillery in Windsor, VT prides itself on producing artisan spirits from locally sourced ingredients. They state, “Vermont is a place where the land supplies a bounty rich in flavor and character, and we like to believe we reflect that essence in our spirits.” Visit their tasting room to sample their vodkas, gins, and whiskeys. 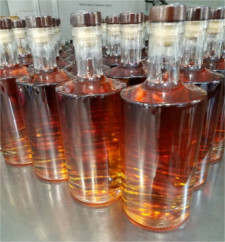 Saxtons River Distillery in Brattleboro, VT combines founder Christian Stromberg’s appreciation for Vermont’s maple syrup and a family tradition of crafting fine liqueurs in producing uniquely delicious products. For example, Sapling Vermont Maple Liqueur utilizes the finest quality Vermont Grade A maple syrup and refined ultra-pure spirits to bring the taste of Vermont to life. Visit their tasting room to sample this or any of their other uniquely crafted spirits. Apples and Vermont are almost as common an association as maple and Vermont. And, Boydon Valley Winery & Spirits in Cambridge, VT embraces the apple to produce some award-winning apple liqueurs. By combining their Vermont apple brandy, cream and maple syrup they create their amazing Vermont Ice Maple Cream Liqueur. Visit the tasting room to sample the wines and liqueurs produced on the family farm to learn more. Intrigued? These are just a few of the almost 20 distilleries throughout the state. Visit the Distilled Spirits Council of Vermont for a listing of all members. When planning your trip to Vermont, don’t forget to check Vermont.com’s lodging suggestions for the ideal place to stay. Apres Ski with a Vermont Twist Holiday Shopping Guide – For Foodies Warm Up with These Unique and Delicious Vermont Soups Maple Syrup Is Good For You!